The biggest change of this version is the addition of the archive list and the improvement of the estimation functionality. HDPI support has also been greatly improved. When a project contains a large number of completed tasks, the list of done items starts to be unreadable. This is particularly disturbing when we work iteratively, now tasks can be archived. Now each kanban card contains an initial and current estimation. Thanks to this, we can easily track the progress of work on the task. 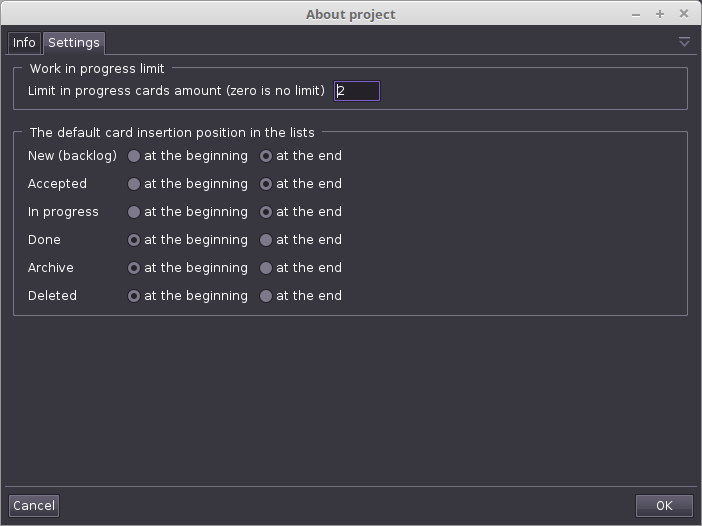 New better configuration of the project allows setting the default positioning of cards. 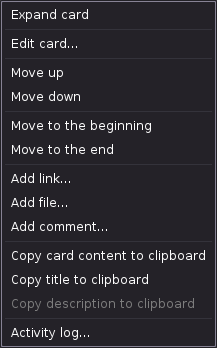 For example, whether new cards should appear at the beginning or at the end of the list.